Date & place of death/details 11/6/18 at Auchonvillers. Killed in action. Military Awards? Military Medal for gallantry and devotion to duty near Plouvain on the 5th August 1917, when taking part in a patrol which entered enemy trenches. This Level 3 Gallantry Medal was established during the First World War on the 25th March 1916 and introduced in the London Gazette issue 29535, (back dated to 1914) to personnel of the British Army and other services, and personnel of Commonwealth countries, below commissioned rank. It was the other ranks' equivalent to the Military Cross (M.C. ), (which was awarded to Commissioned Officers and, rarely, to Warrant Officers, who could also be awarded the M.M.). 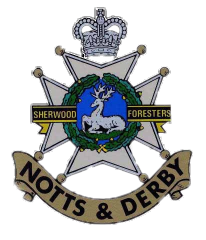 The military decoration was awarded to William Alton for acts of gallantry and devotion to duty under fire or for individual or associated acts of bravery which were insufficient to merit the Distinguished Conduct Medal. Parents address 2, Cross Street, Grassmoor, Derbyshire. Any other information? Pre war occupation was a coal miner pony driver. Enlisted at Chesterfield in 1914, and entered France in July 1915. Wounded 3 times before his death. Also remembered on the Grassmoor War Memorial. Mary Alton remarried in 1920 to a Mr Richard Betton and lived in Ringwood Terrace, New Tupton. Given the information available it is likely that William Alton was entitled to the Victory medal, also called the Inter Allied Victory Medal. This medal was awarded to all who received the 1914 Star or 1914-15 Star and, with certain exceptions, to those who received the British War Medal. It was never awarded alone. These three medals were sometimes irreverently referred to as Pip, Squeak and Wilfred. 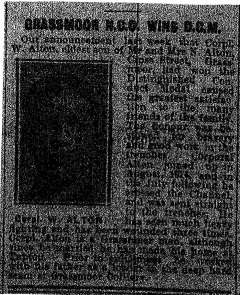 From the information available, it is very possible that William Alton was entitled to the British War Medal for service in World War One. This British Empire campaign medal was issued for services between 5th August 1914 and 11th November 1918.